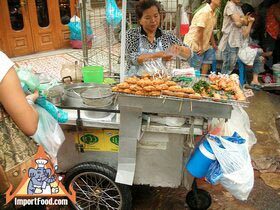 A delicious Thai appetizer and a street vendor favorite. It's not very spicy, so a common hors d'oeuvres that can be served with wide appeal. It's hard to find Thai Toast outside of Thailand but we love it, and this recipe is fantastic so prepare it with confidence using our techniques. 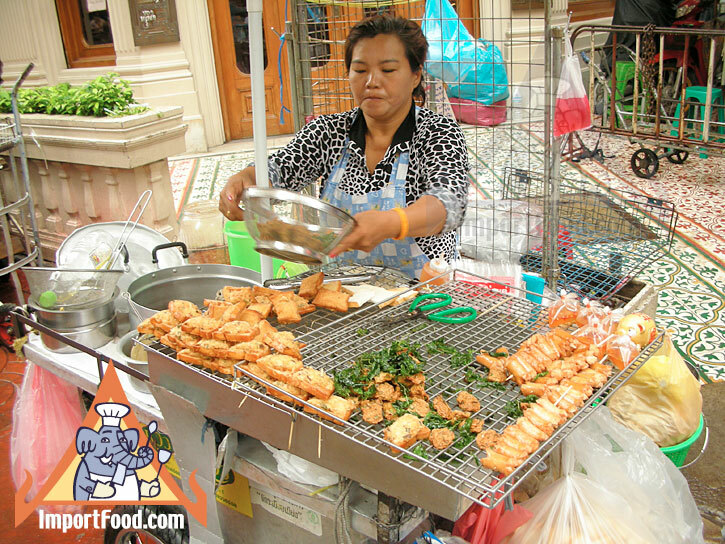 Also you might like our feature Thai Toast made streetside in Bangkok. Let bread sit overnight to dry. Chop shrimp, cover and chill in the fridge for 30 minutes. 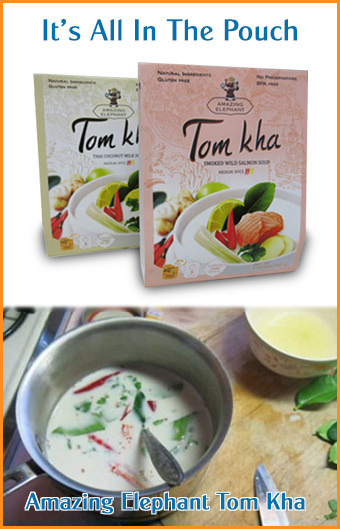 In a mortar and pestle, pound the garlic, coriander stem, coriander seed, salt, Thai pepper powder to be a fine paste. Trim the crust from your bread, cut each slice into 3 pieces. Lay it on a cookie sheet and bake at 300F for ten minutes. Add the mix from your mortar to the chopped shrimp, gently combine, then season with sugar, soy sauce, and oyster sauce. In a separate bowl, mix one egg. Put half of the egg with the shrimp mixture, and set the other half aside. Spread shrimp mixture on your toast. Heat oil in wok and wait until it is hot (just before smoking). Dip the face of your bread into the remaining egg to get it wet, then sprinkle white sesame seeds on each piece of Thai Toast. Press one fresh chile pepper and one piece of coriander leaf into the toast. Place in hot oil face down and wait until it's golden color. The edge of the toast starts to brown, at that point flip it over and cook a bit longer. Remove from wok and place it on paper to remove excess oil. Serve with cold fresh cucumber slices, and Pineapple Chilli Sauce. Enjoy! This is a delicious, authentic, unique treat.